ZZ Replacement note. 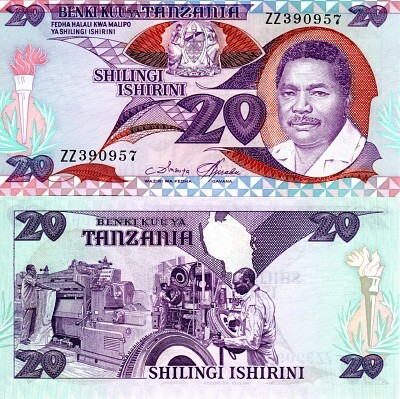 President Ali Hassan Mwinyi. Watermark:Giraffe head. Elephants at lower left. Torch at left. Coat of Arms. Signatures: Cleopa D. Msuya & Charles Nyirabu. Solid security thread. Printer:TDLR.